Then you can probably see what I needed to do next. We have a western exposure on our deck which is great all day but in the late afternoon the sun is intense. 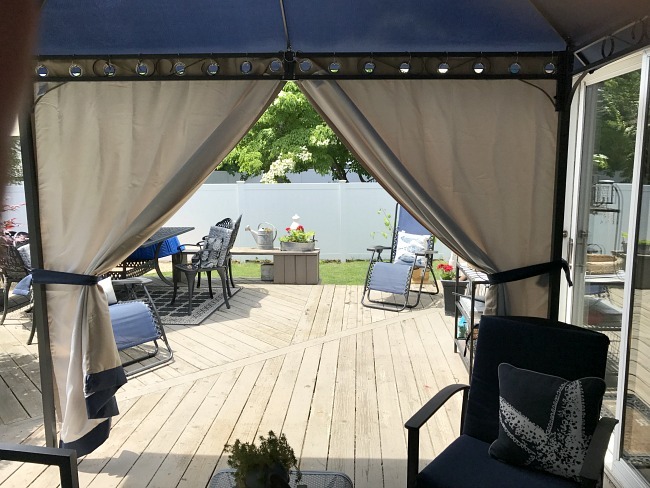 I searched around for a while for a shade or curtain solution that would work but I didn't find anything for a reasonable price. 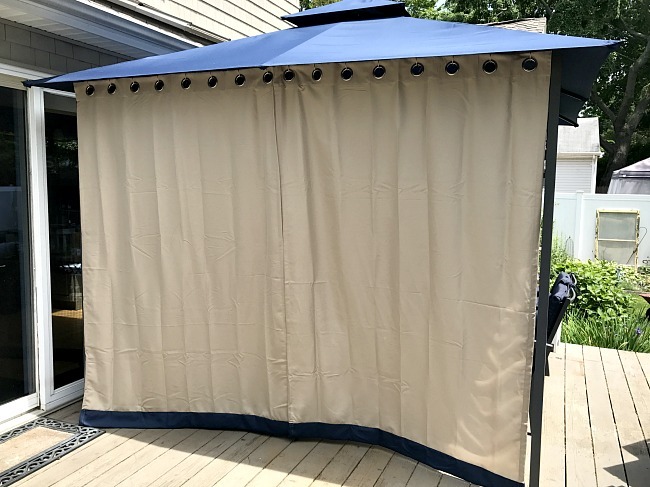 I visited a local box store to search out a curtain or even shower curtain that might work. It must have been my lucky day because on clearance were 2 indoor/outdoor panels the perfect color. The only problem was they were very, very long! I measured the correct length, cut the extra fabric and hemmed the curtains to the length I needed. I hand stitched the hems because frankly hauling out my sewing machine wasn't going to happen today. 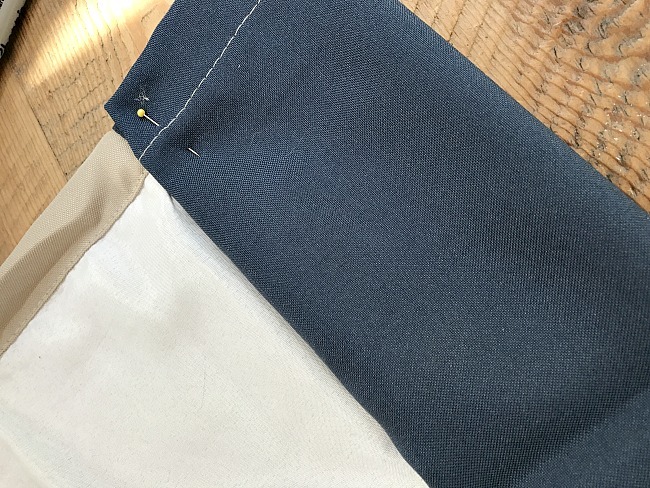 I was left with a good sized navy blue block at the bottom and I used the original curtain hem as tie-backs. I also have about 2 yards leftover for pillow covers. I hung the curtains with shower curtain hooks... the big circle, loose leaf style ones. Inside view... These curtains are lined so they do a great job of blocking out the sun. 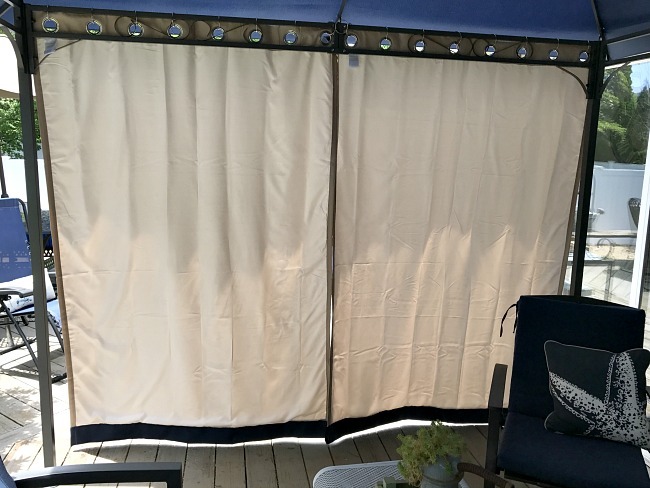 They are indoor/outdoor curtains but I am spraying them with water proofing spray on both sides just to be sure. 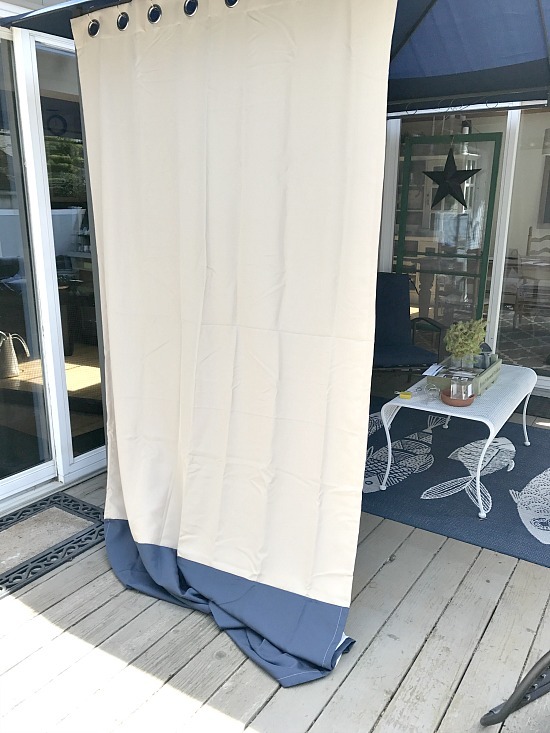 These curtains completely solved my blaring sun problem and can be tied back when not in use. I am also going to add a small string tie-back at the bottom for windy days. 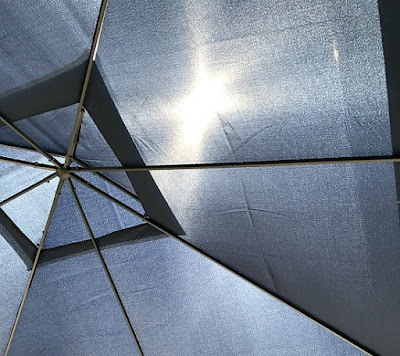 Two of the sides of our gazebo are along the house and I left one side open so it wouldn't feel too closed in. I think this was the perfect solution and the perfect color! 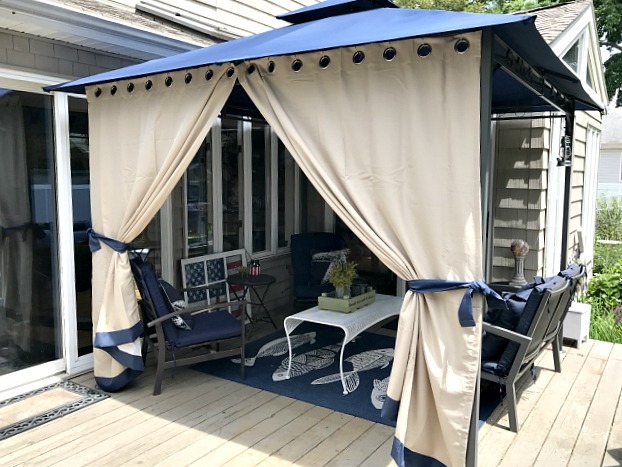 See how we built this pretty gazebo here. Update: I recently purchased a new set of furniture for this area from Amazon. It is a plastic basket weave and I love it. The furniture snaps together with plastic screws. It is very sturdy and comfortable. 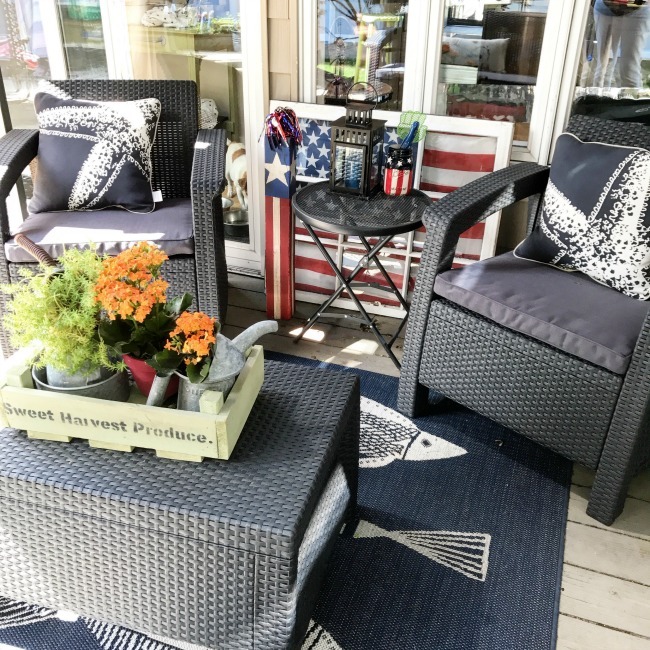 The set includes 2 chairs, a coffee table, and a love seat WITH cushions! 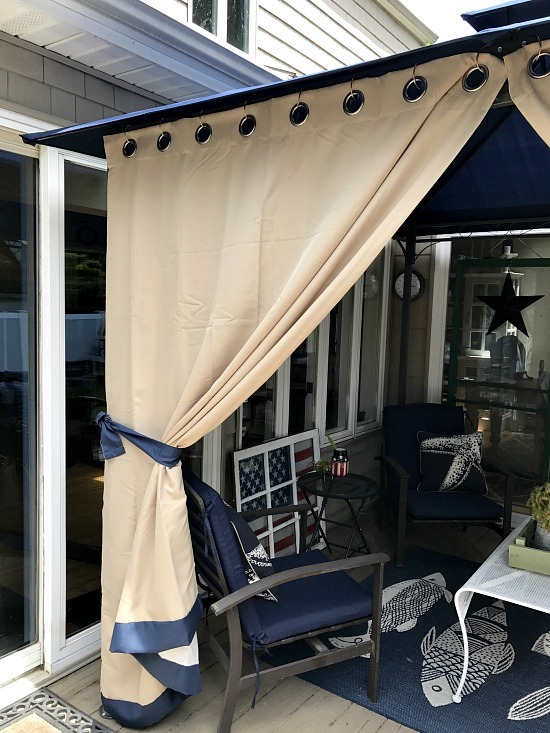 what did you use for waterproofing spray on the curtains? They look great! I added an affiliate link to the product I used. 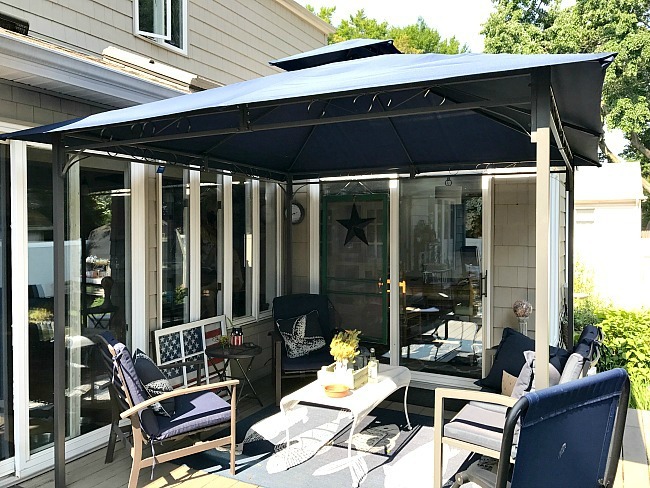 Your new gazebo looks so beautiful! And the curtains just add to the appeal. Love how they look tied to the sides!